What does it take to be a highly valued caregiver to People living with Dementia? All Caregivers and Caregiver skills are not equal. One cannot say that just because they have been a caregiver for 10 years assisting people with Personal Care Needs that they will be equally successful in caring for people with Dementia. 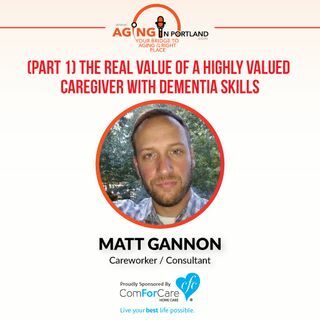 Our guest, Matt Gannon, shares from his personal experiences of caregiving to people who are living with Dementia. Matt works as a dementia care consultant and personal caregiver.